Much like the rest of the country, the Milwaukee Journal Sentinel has issues with both the Democratic and the Republican front-runners. On Tuesday, Wisconsin’s largest newspaper published an editorial calling Donald Trump a “cartoon character” and “unfit to be president,” and today, the paper published a similar piece that takes aim at Hillary Clinton. Ahead of the April 5 primary in Wisconsin, the Journal Sentinel took issue with Clinton’s “long record of obfuscation, secrecy and working in the shadows to boost her power and further her ambition” and encourages voters to “think long and hard” about her history of closed-door government. But the paper also took aim at other instances when Clinton “has tried to sidestep the public eye.” Drawing from a ProPublica article, the Journal Sentinel accused Clinton of obfuscation when she declined to release her complete tax returns in 1992, when she kept her 1993 task force to overhaul public health care behind closed doors, when she declined to release billing records in 1994, and when she headed a secret emergency task force in 2006. The editors added that Clinton’s refusal to disclose her Wall Street speech transcripts and the partial-donation records released by the Clinton Foundation raised serious questions about conflicts of interest. Denying the public of its “right to know,” the paper wrote, is enough to disqualify Clinton from public office. In general, Clinton’s campaign has struggled to convince voters she’s sufficiently transparent. 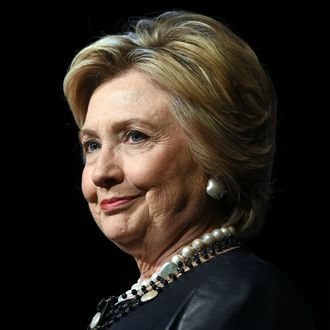 A poll conducted in late January by the Washington Post and ABC found that only 36 percent of people believed her to be honest and trustworthy. However, 65 percent believed Clinton has a better chance of winning the presidency.